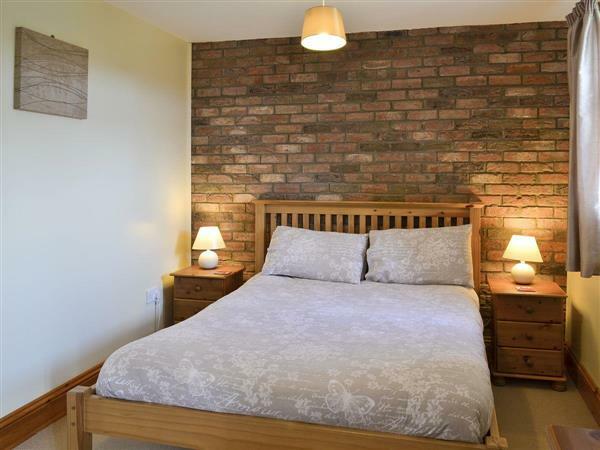 Bevan Cottage, Filey Holiday Cottages in Muston, Filey sleeps 5 people. Filey Holiday Cottages is the ideal setting for your perfect break, for however long you choose to stay. The location of these carefully designed and furnished group of cottages offers something for everyone. Close to both coast and countryside, the cottages will allow you to take full advantage of the scenic, traditional British seaside town of Filey, while for those who enjoy striding out along rural trails, the North Yorkshire Moors are on your doorstep. The cottages have an open shared lawn to the front of the properties (refs 24283, 23050 [Hutton Cottage], 23052 [Padgett Lodge], 23048 [Ilingworth Cottage], 23051 [Hampshire Cottage], 23055 [Vaughan Cottage], 24284 [Hoggard Cottage], 24285 [Swallow Cottage]), a well equipped games room and children’s play area. Filey is a traditional Edwardian English seaside town. A perfect place for an active holiday, or just to relax. The five-mile stretch of sandy beach is protected by the rocky grandeur of Filey Brigg. Surfing, fishing, yachting, golf, walking and bird watching are just a few of the available activities. The Evron Centre provides plentiful entertainment with music, song, dance and theatre on offer. Filey has many restaurants and hostelries providing superb cuisine. Should you wish to travel further afield you will find that Yorkshire glories in one of the finest stretches of coastline in Britain: golden beaches, rocky coves and towering cliffs. Further to the north, Whitby is a picturesque fishing port and inspiration for Bram Stoker’s Dracula. The North York Moors National Park and the North Yorkshire Moors Railway, 18 miles of preserved railway, are both close by, as is Flamingo Land Theme Park. Shops 3 miles, pubs 1 mile. Ground floor: Living/dining room with French doors/kitchen with tiled floor. Bathroom with shower over bath and toilet. First floor: 2 bedrooms: 1 double (5ft), 1 single. Second floor: 1 twin bedroom. Electric heaters, electric, bed linen and towels included. Travel cot and high-chair on request. DVD. CD. Electric cooker. Microwave. Shared laundry facilities with w/machine and t/dryer. Dish washer. Shared landscaped grounds with childrens play area. Private sitting-out area and furniture. Barbeque. Parking (2 cars). Shared games room with pool table. No smoking please. Holidays at Bevan Cottage, Filey Holiday Cottages run from Saturday to Saturday. For a better idea of where Bevan Cottage is, you can see Bevan Cottage on the map below. Bevan Cottage is in North Yorkshire; should you be on the lookout for a special offer, you can find all the special offers in North Yorkshire. It's always worth checking to see what is on offer at the moment. Do you want to holiday near Bevan Cottage (24283), you can see other cottages within 25 miles of Bevan Cottage; have a look to find your perfect holiday location.